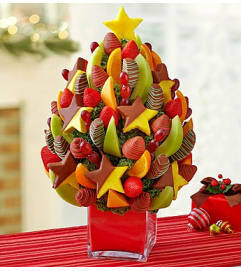 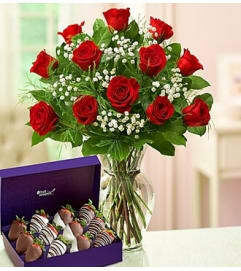 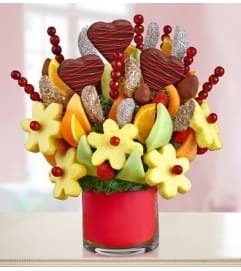 Say Happy Birthday in an unforgettably sweet way with our irresistible Fruit Bouquet. 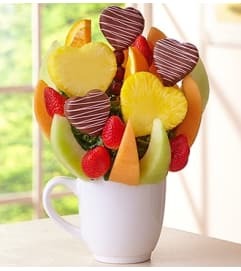 Plump strawberries, dipped strawberries with white and milk chocolaty drizzle, tulip shaped dipped pineapple slices, honeydew melon and cantaloupe wedges, orange wedges, grape skewers and more. 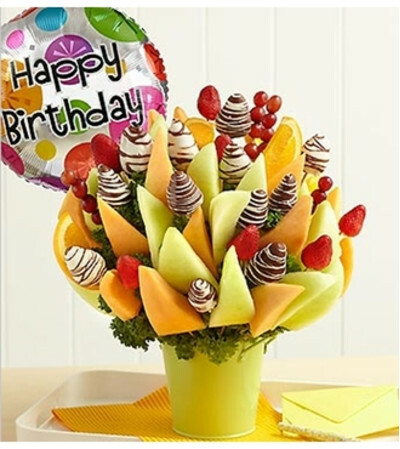 ::::::::All of our dipped fruit is covered in delicious Fannie May® milk chocolaty and white confections.